Have you ever thought that taking care of yourself is selfish? That it is noble, even holy, to neglect your body’s needs in favor of taking care of others? I’m about to say something controversial: I think that is misguided. Taking care of yourself is one of the best ways to show love to those you care about. No – loving others means self-care. 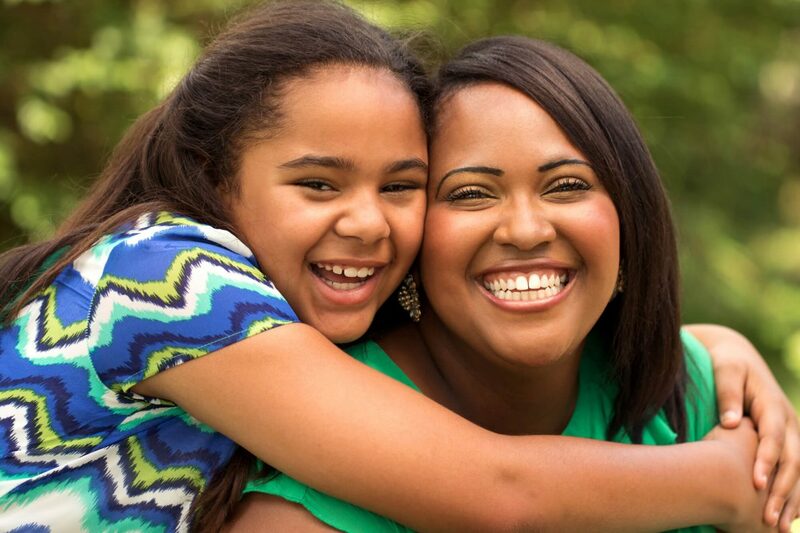 Through taking care of your health, you can give your best to those you love most. Your joy of the Lord! Doesn’t that sound like a better way to show up for life every day? Doesn’t it sound like a better way to show up for your loved ones? Did you notice that your interests are included in this instruction as well as other people’s interests? Your motive in taking care of yourself is not selfish ambition nor conceit. Your motive is loving others and thinking highly of them enough to give them your best. Making daily choices to protect your health is a wise, loving thing. 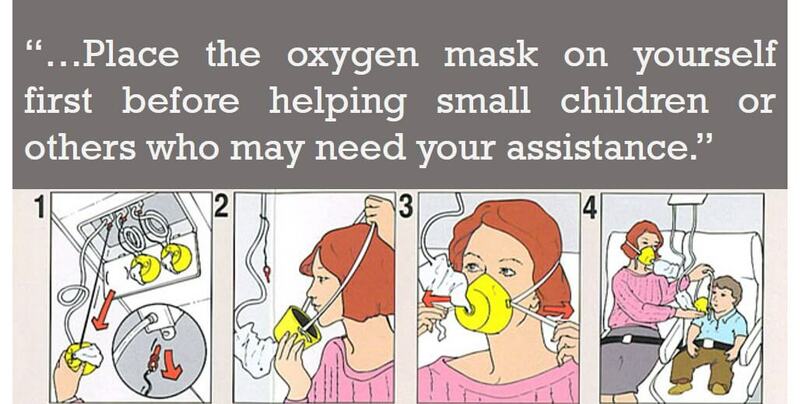 This is the same principle as putting the oxygen mask on yourself first on an airplane in an emergency. You can’t help anyone if you are passed out! If you’ve ever thought that taking time for making healthy meals and exercise is selfish, then I hope you see that it is the opposite. My question is, why do so many Christians seem to think that it is wrong to pay attention to your health? Please share your thoughts in the comments. To me, your motivation for making wise choices makes the difference! P.S. When it comes to weight loss, do you often know what you should do but have a hard time doing it? The value of the Take Back Your Temple program is that you will learn how to think differently through Biblical truth. You’ll discover how to win the Spiritual and mental battle that often causes us to become inconsistent and get off-track on our weight loss journey. Join a community of like-minded Christians discovering how to release weight and keep it off. I have taught this for years!! The measuring stick for how we’ll love others is how we love ourselves! A time of day for a young mother to go on a walk, a dad to quietly putter, a gramma to sit and read, grampa to play his guitar… These moments of self-care and refreshment enrich our ability to love others. I have run across this attitude, too. I believe that you are spot on Kimberly, many Christians seem to think it’s selfish to put effort into maintaining one’s health. I’ve also seen the martyrdom thing, which seems a bit prideful to me. Almost an attitude of superiority from “serving others” while being a glutton at the same time. The Enemy loves to mess with our minds, for sure! Many of us had caretakers that sacrificed and complained. Some of our behavior is learned and we haven’t renewed our minds in that area. For some we do things for love and not from love so we are in a constant dizzying pursuit through our acts and the by-product is self neglect. Basically it boils down to wrong teaching, and wrong believing which produce in us wrong action. This edition is helpful and probably could be a series due to its massive impact on our lives. For most of us that have spent the majority of our lives familiar with Bible stories but not in relationship with God (and not even knowing it) our battle is mainly rightly dividing the word, remaining teachable, and going from Glory to Glory and Faith to Faith in and through Christ. We have not known that we are the body of Christ and that he is the head and thus leading us. We have failed because we have tried to move apart from the body and not as part of the body. Personal example: (and what this teaching revealed to me) I’ve been eyeballing shoes for months (I really need a few pair and it is one of the reasons I haven’t been able to begin walking like I need to.) I have never believed God for those shoes. I have been trying to figure out how I can get them meanwhile the clock is ticking and I am still not walking. I don’t own a pair of tennis shoes. I need them. How will I make room for them when things are tight? (Insert TBYT – 6-27-17) I will trust God for the shoes. I will begin my walks. Problem solved. Taking care of you first mentally, physically and spiritually is not selfish in any way especially if you are to be responsible for someone else’s life. If you aren’t fit in every way you can’t be present in any way to care for anyone else. I think as Christians we feel it is wrong to put yourself first because we are to be like Christ to love and look out for others first. We know we aren’t supposed to be selfish minded, egotistical amongst others but we must know we aren’t being selfish if we take care of our own health. I think as Christians we feel called to be servants, and we think that means total sacrifice. It’s the Mary/Martha story. Martha was so busy concentrating on serving that she missed the point of the evening which was being with Jesus. Mary chose the better way even though to Martha it seemed selfish. It’s a mindset that causes many Christian’s to become burned out and unproductive. Thank you for your daily encouragement! Thank you for comment, Rene – so true! You are right on. I agree. Unfortunately I let the enemy make me feel guilty at times when I exercise or take time to study on healthy habits. Isn’t that ridiculous? I got back at him by starting a Worship in Motion class at my church where we move and dance, getting exercise as we praise the Lord. I love your articles and want you as a friend. You are precious. I love your heart for the Lord and for those struggling with what you have struggled with. Keep it coming. And thank you. That is awesome Debra – I know your class is a blessing! Praise God that he has put us into position to influence others to change their health for the better. All for His glory! Praise God for using you on this subject. This was well said and there is nothing else I can add to it. Thank God for using you to inspire others, may God continue to bless you!! I believe taking care of oneself is agreeing with God who wishes above all that we be in health. I don’t see how one can give to another what one does not have. So, Kimberly, I think you are spot on. May The Lord keep on rewarding you for your labour of love in all you share with HIS body. Jesus is the Way, Truth, and Life. He is the Word, our foundation and measure of discernment. He is our Lord, example, Teacher. The Word says we love, because He (Father God) first loved us. There is no real love in us until we have received the love of God for us. When we believe the Word: “Oh. I am loved, because the Word says Father God loves me.” and we receive His love, beginning to notice the evidences of God loving us and thanking Him for them, our identity begins to shift from being Unloved to being His Beloved. As we receive His love and imitate Him, as His dearly loved children, we learn the vocabulary of healthy love. We have a healthier foundation of one who is loved and well-cared for by the Good Shepherd. We are able to receive His rhythms of being given to and out of His gifts, giving; being cared for and out of His care, caring for others; accepting our Sabbath rests and out of His rest, working hard in the Lord. We are set free from the struggle of trying to be good enough by our own efforts, and are learning “not by might, nor by power, but by My Spirit, says the Lord.” He has a yoke and burden for us, but His yoke is well-fitted to us and His burden is light. Jesus as our example filled up with Father God daily, before He ministered to others. (Mark 1:35, among other Scriptures.) Then out of that receiving He was able to “….say only what the Father said, and do only what I see the Father do.” (John 5:30) When we try to give people our best, we come up so short. But when we have of God to give them, it nourishes them. We find the life of being able to comfort others with the comfort we have received from God, encouraging others with the encouragement we received from Him, serving others with the strength God supplies (and not trying to go beyond that 😉 ) and simply being there with people, just as God sometimes ministers to us by His Presence. Jesus gave sacrificially, but He always gave out of “Full” (of God), not empty. So, we should receive what the Lord is giving us each day so we have out of that to give. We receive from God by agreeing with His Word, thanking Him for it, and applying it to ourselves. We receive from Him by noticing His goodness to us, accepting it, and thanking Him for it. We receive from the Lord by humbly admitting our needs and desires and letting God meet them His way, in His timing, whether directly from Him or allowing Him to use whoever or whatever He wants to use to do so. We can only give out of what we have. God is always our Source, and the only legitimate Source for others. Though God will use us to bless and help others, we are never their source. In the same way, His gifts are not what meets our needs. Whatever we look to as a source, a need-meeter, is a potential idol. God alone is our God, and we can’t be a mini-god to others, even though the Lord will use us for them. Thank you for the reminders that through God we can take care of ourselves and then give to others. As someone who has been sick for a long time, I am learning to take better care of myself but that also means growing in God. When I am healthier and I grow in God, I can be the person God wants me to be and thus be the salt and the light that we are called to be. If the salt is not salty, wherefore is it’s saltiness? Sermon on the Mount. When we are called according to His nature, He will equip us and that includes taking care of our physical bodies. Thank the Lord we can do all things through Him who strengthens us! Glory and Honor be to God Most High! Could not have said that better myself, Karen! This makes so much sense to me, however, it’s hard for me to implement as I’ve never felt worthy of self love or self care. I enjoy exercising and try to get it in daily. We have a large family and seem to be in demand quite a bit. I know I need to learn to say no sometimes so that I can take care of myself. I’ve been a professional “dieter” most of my life. My goal is to honor God by taking care of the life and body He has given me. I glad it makes sense to you, Sherry. It may be challenging to implement, but I believe with God’s help you are up to the challenge! Thank you Kimberly! I sometimes need to be reminded of these facts.